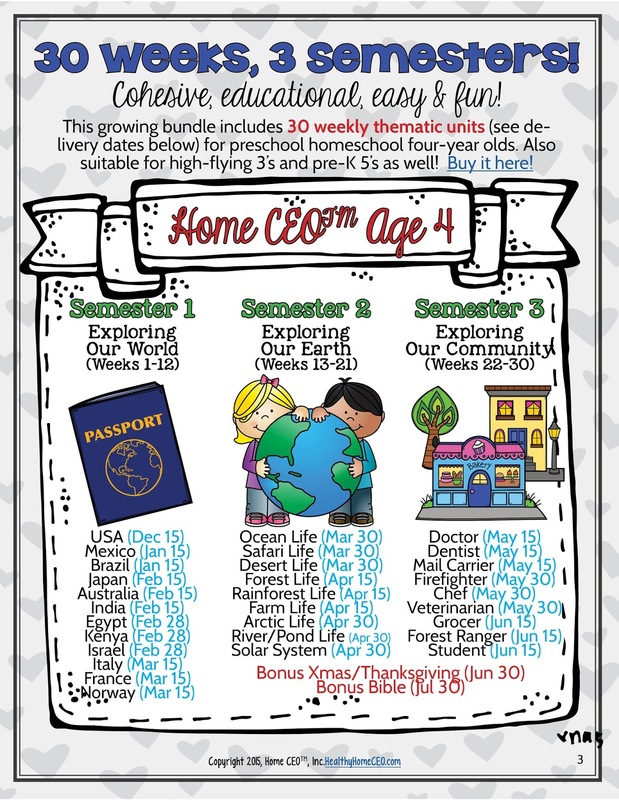 Made with the spirit of excellence by preschool moms and educators, these 30 weekly thematic units can be used with a calendar year (January to December) homeschool program OR an academic year program (August to May). Or simply follow the months in sequence and start any time! 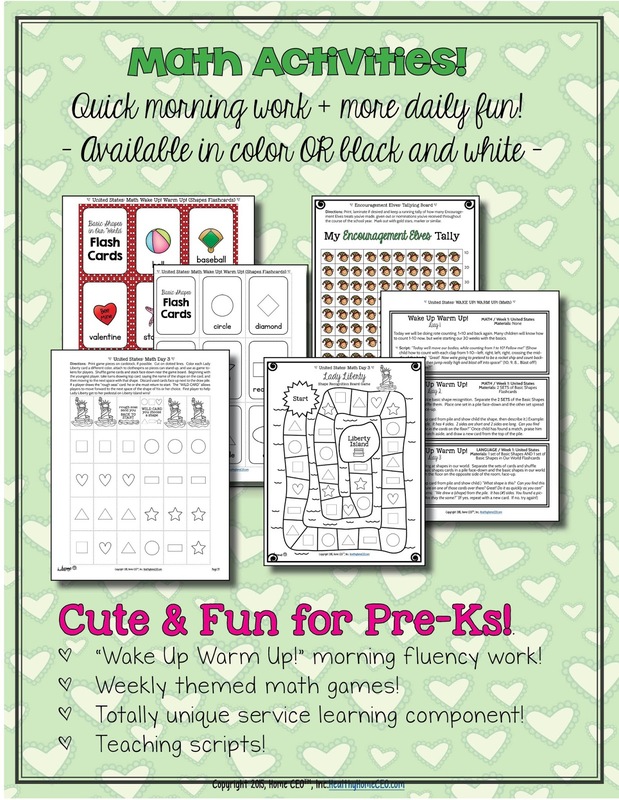 Our Age 4 (suitable for high flying 3's and Pre-K 5's too) is a complete year curriculum that is super cute, completely organized and covers language, math, social studies, science, art, gross motor and social and emotional learning. 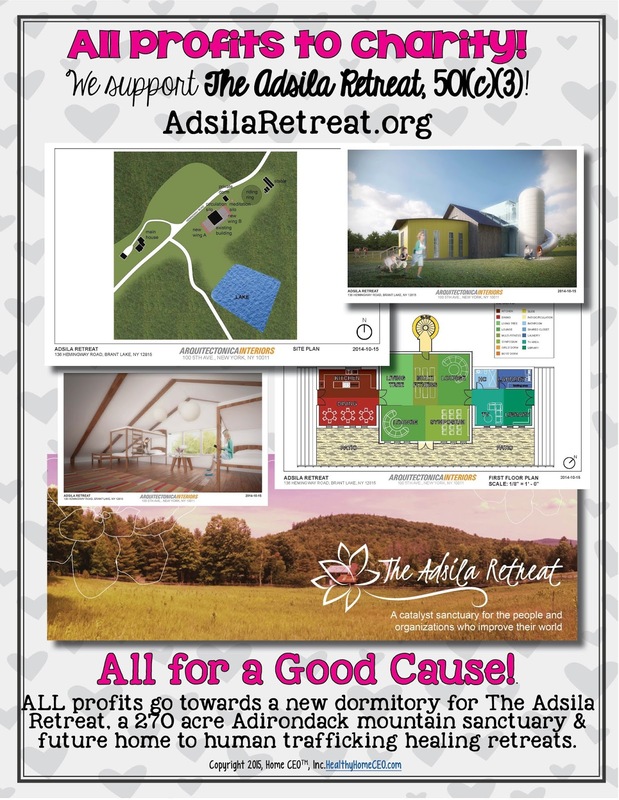 To purchase the curriculum, click here. Purchased separately, these 30 units would cost you $240. 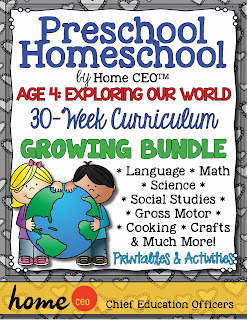 Buy now at the early bird growing bundle rate to lock in huge savings and get this packet at little more than $1/week! 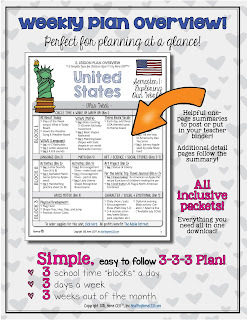 To make it simple for teachers and children alike, we provide a simple 3-3-3 structure: three school time blocks a day, for three days a week and three weeks a month organized across three “semesters”, covering 30 weeks out of the year! So basically – just think three! Our program follows a three block system. During each day, you’ll have three blocks of time with your little one, which fit in naturally with the ebb and flow of life between errands, outside activities. 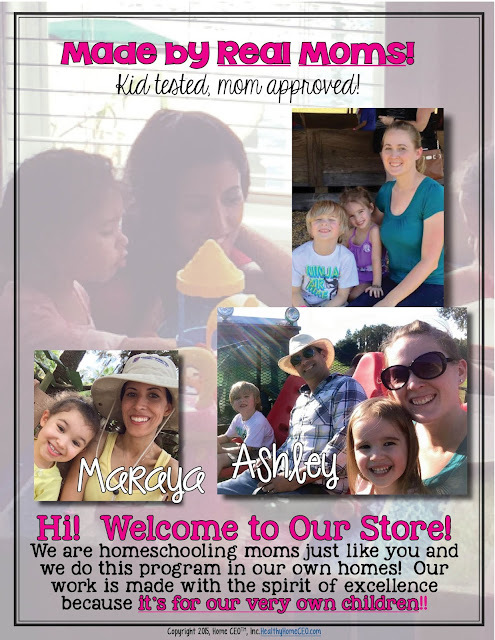 If you are struggling with managing homeschool and getting organized, this is the program for you! 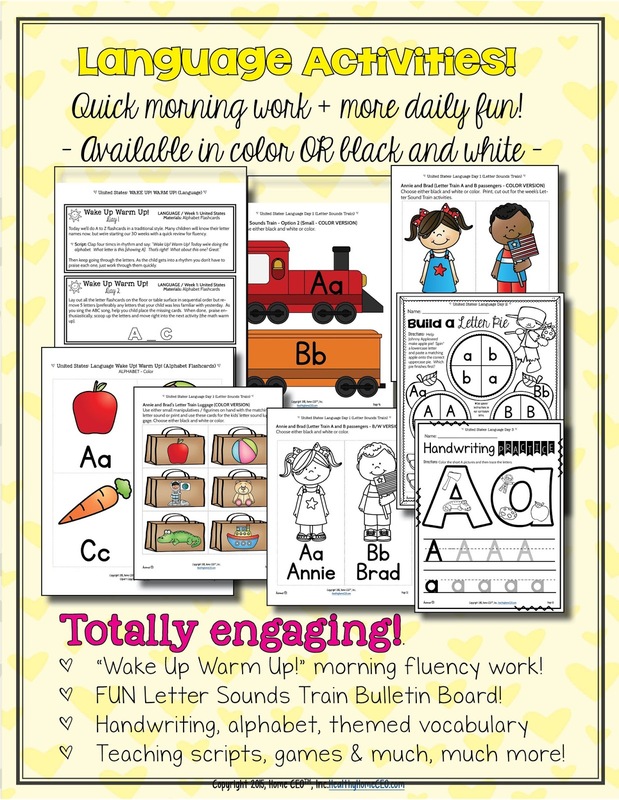 In block one you’ll do a short circle time routine and some fast and fun math and language drills, which we call "Wake Up! Warm Up! 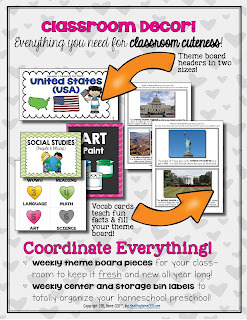 ", then update a vocabulary theme board that grows each day and read a selected book. After a break, block two brings about additional activities – one math and one language, followed by either an art, science or social studies activity. In block three, you’ll be doing gross motor activities or an outside activity / playdate, etc. We will have bonus Bible study activities for an additional evening block that will be provided into this bundle by July 30. We use art primarily by Whimsy Clips by Laura Strickland with secondary sources credited within each document. 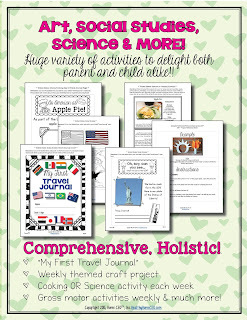 I also use digital paper from PrettyGraffic and Erin Bradley Designs for my title pages. I use fonts by KG Fonts and Pablo Impallari. (All links included within the document). Copyright 2015 Home CEO Inc. 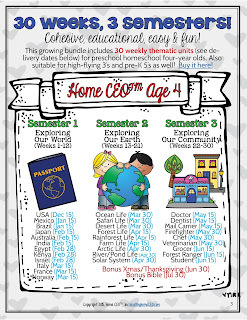 Here are some of the highlights of our Home CEO Age 2-3 Curriculum available on Teachers Pay Teachers. 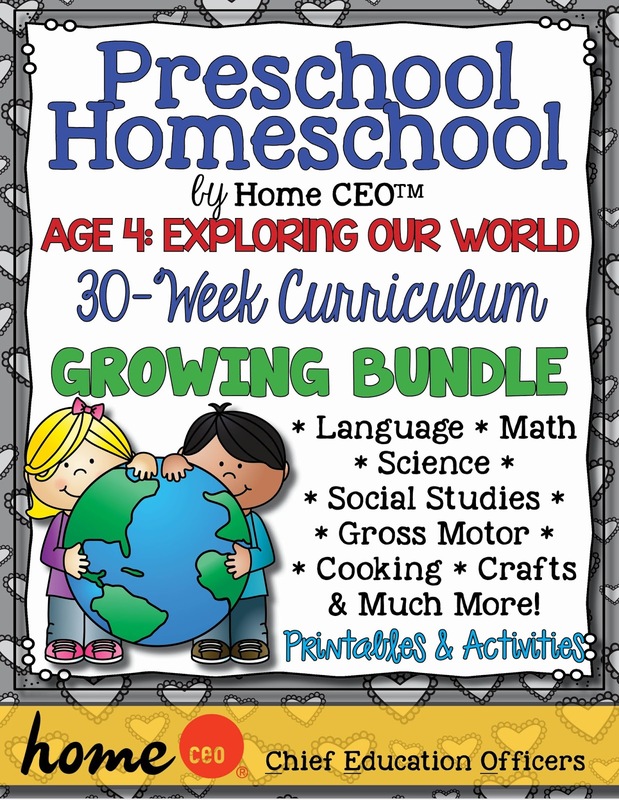 Our homeschool preschool curriculum is based on research on Montessori methods, traditional preschooling, homeschool theories, award-winning children's books and searching the web for more ideas. 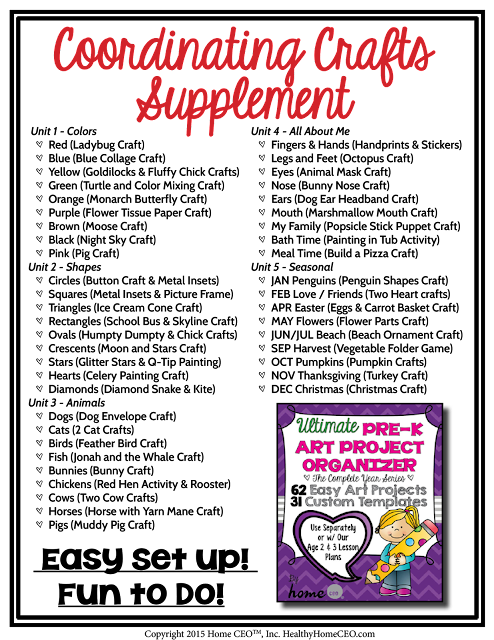 The curriculum includes a set of 45 lesson plans, 15 sets of the most important flashcard for this age, a "My First Alphabet Notebook" with super cute printable letter crafts, a "My First Math" interactive notebook full of age appropriate number and counting activities, 15 sets of flashcards with 300+ cards, a curated list of excellent award-winning or highly rated books and all kinds of suggestions for sensorial work, gross motor activities, songs, coloring and other printable activities. 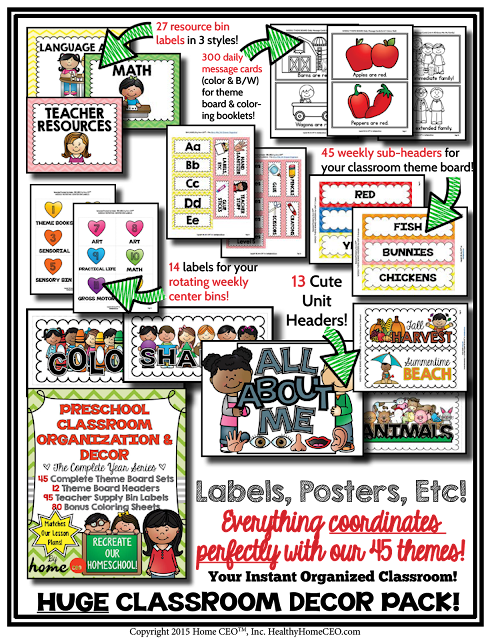 Bonus Items - Everything you need to create 45 theme boards for each week of preschool and all your classroom organization labels to setup and organize your homeschool! 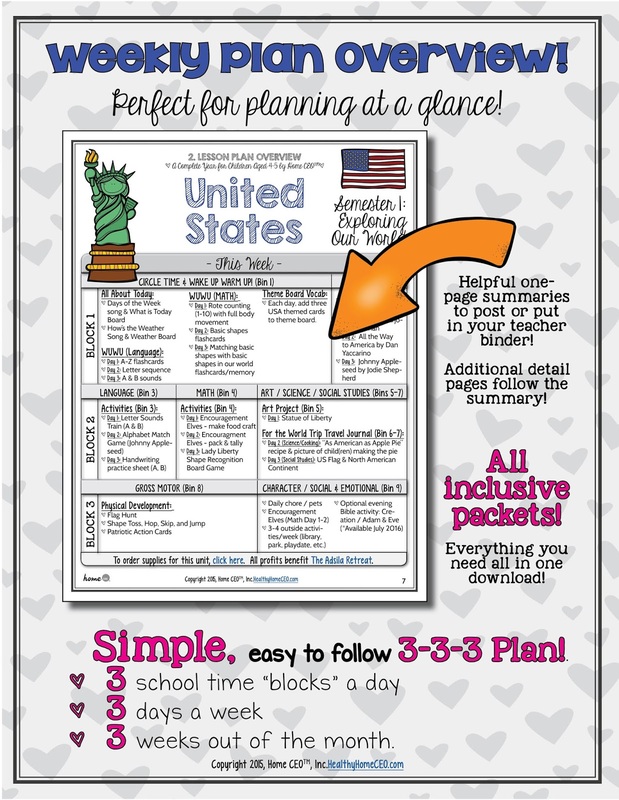 We have 45 lesson plans in all. 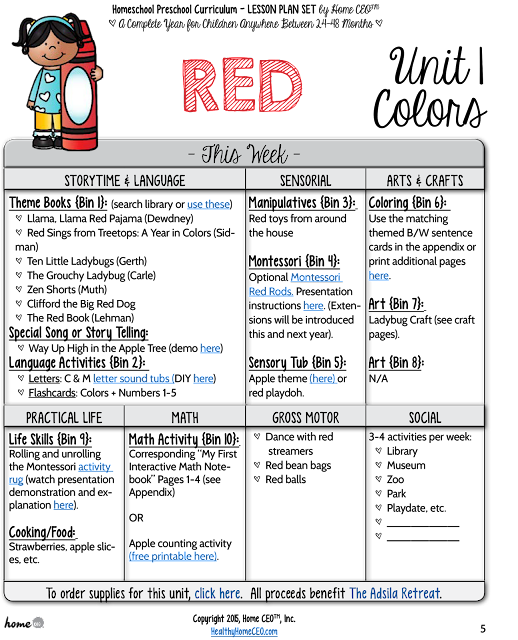 We use a simple one page weekly sheet for each lesson plan and a matching blank one for my personal notes. Here is a sample of one of the lesson plans and planning sheets. 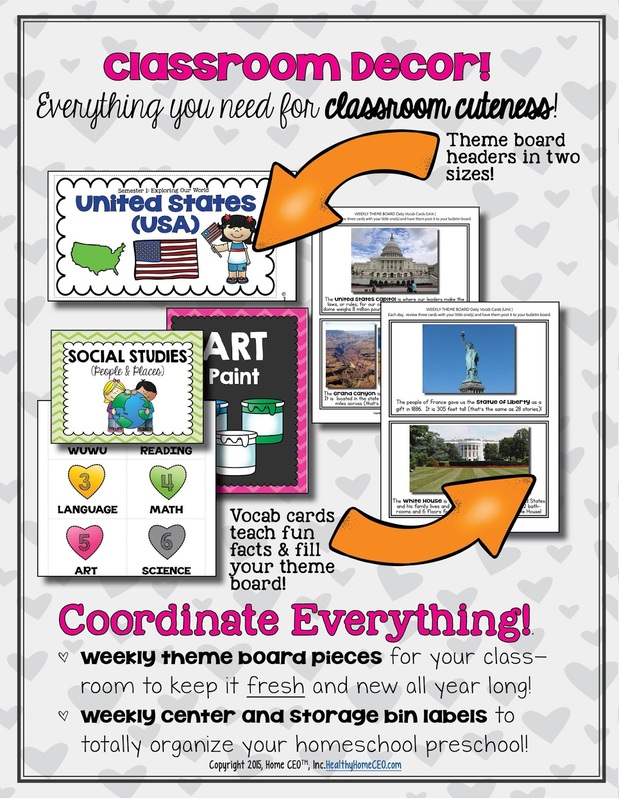 An interactive notebook, by the way, if you are new to schooling, is a notebook where you cut and paste your activities into a pretty journal that you can keep forever! 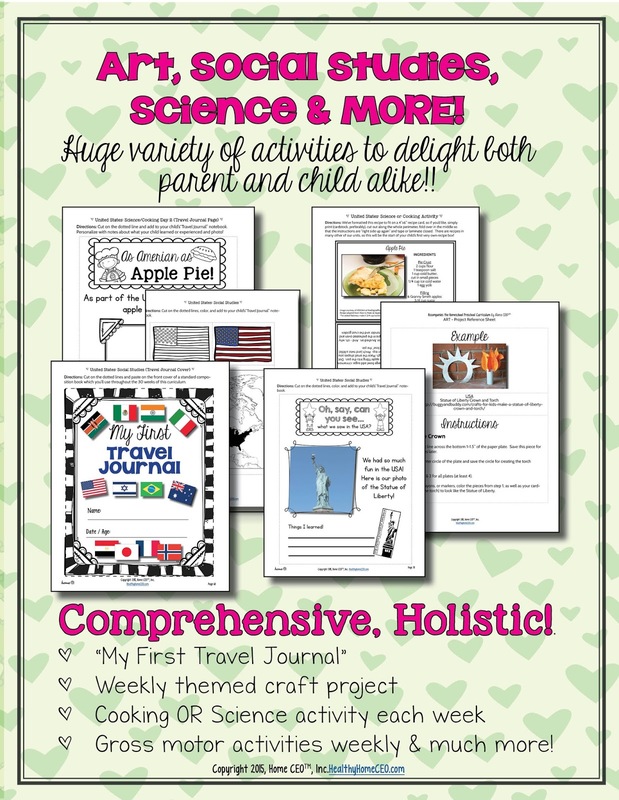 We loved the idea of having some keepsake or record of sorts to show a homeschool's work for the year and this was the ultimate solution. 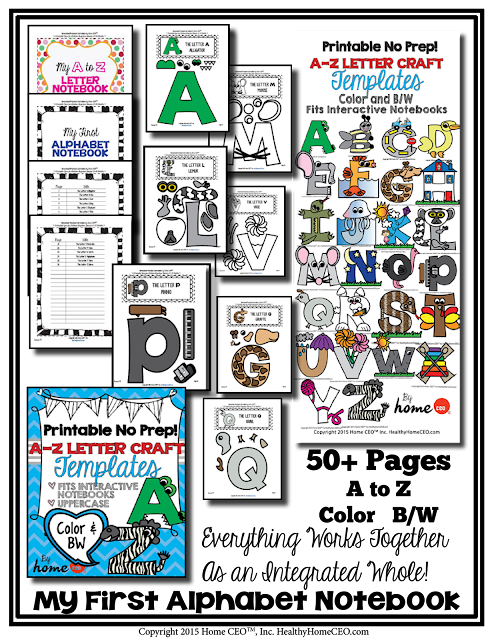 Our curriculum includes language arts / letter craft notebook pages which are currently being used in traditional classrooms, as well as homeschool, around the country and the world. 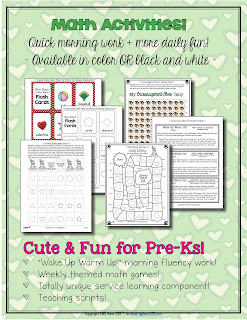 Additionally, our Age 2-3 curriculum includes a "My First Math" notebook. There are four activities each for numbers 1-10 and some additional "review" activities. 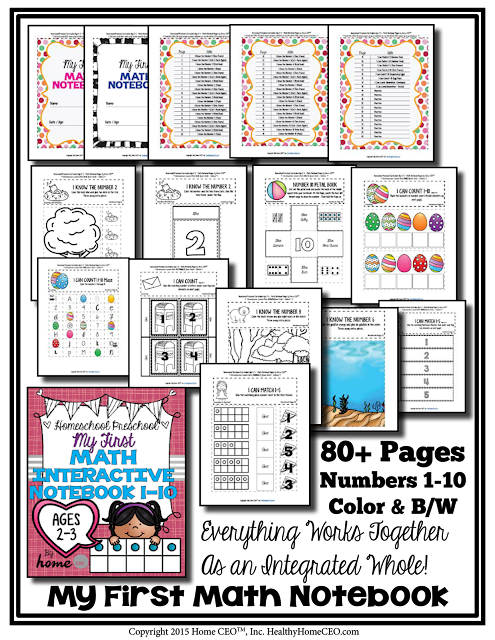 These notebooks are interactive to create between parent and child and enhance fine motor skills scubas cutting and pasting as well as number sense. 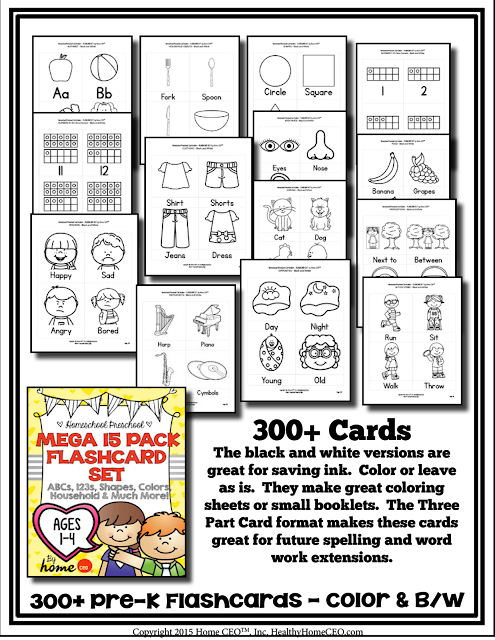 We have 15 sets of flashcards in color and black and white in our pack. 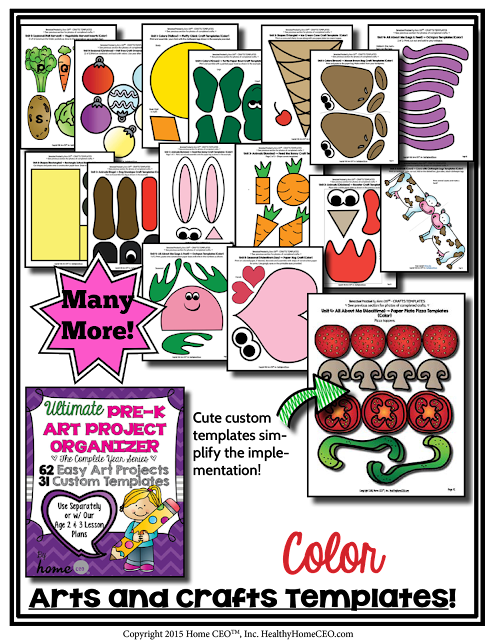 Children love flipping through these and coloring the black and white versions. For future word work, many of these cards are made in three-part-card format so that later teachers and parents can efficiently re-use them for three part card lessons. 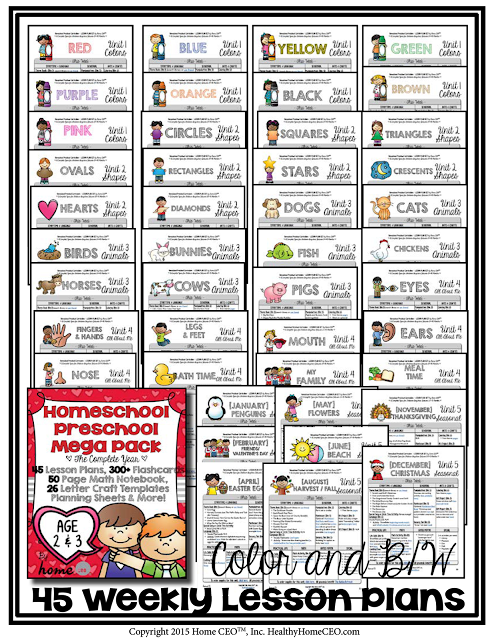 In order to be a one-stop-shop and truly simplify the whole homeschool process, our curriculum packs include everything parent teachers need to organize and decorate their school rooms including classroom labels and weekly theme board decorations. 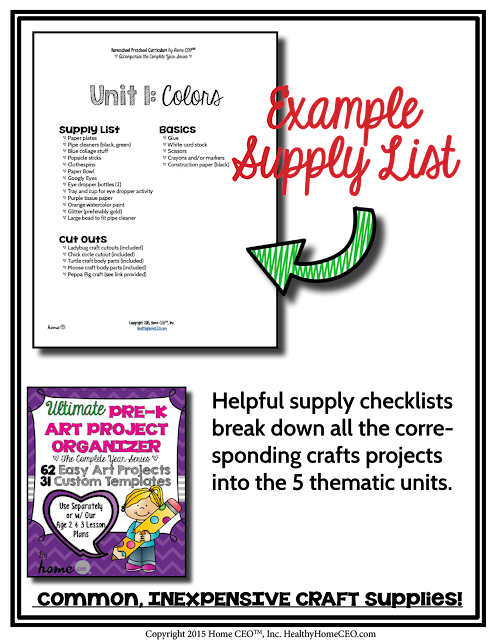 To simplify the arts and crafts projects our curriculum includes shopping lists and printable templates and pictures of each craft. 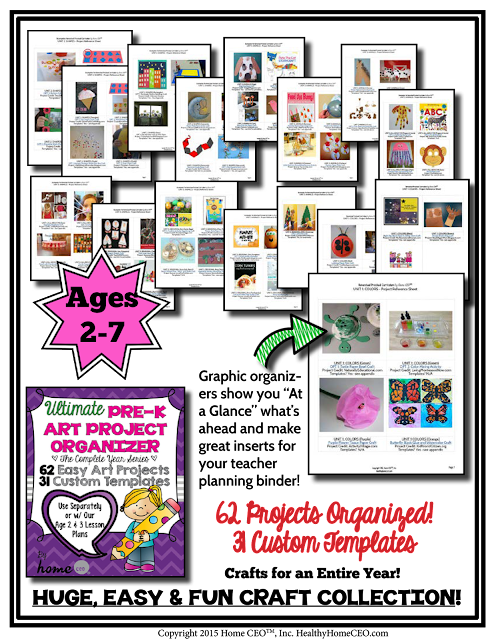 62 crafts are curated from multiple sources and we have organized them into a clear game-plan so that this so that arts and crafts can be implemented simply. 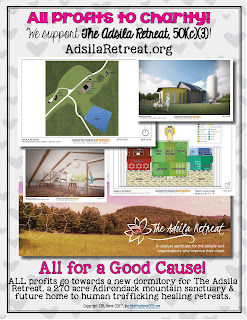 To get this curriculum, click here!